“BEFORE 1997 they usually punished us by tearing down our houses for breaching the one-child policy…After 2000 they began to confiscate our children.” Thus Yuan Chaoren, a villager from Longhui county in Hunan province, describing in Caixin magazine the behaviour of family-planning bureaucrats. According to Caixin, local officials would take “illegal children” and pack them off to orphanages where they were put up for adoption. Foreign adoptive parents paid $3,000-5,000 per child. The bureaucrats collected a kickback. Stealing children is not an official part of Beijing’s one-child policy, but it is a consequence of rules that are a fundamental affront to the human rights of parents and would-be parents. The policy damages families and upsets the balance between generations. It is so hated that even within China it is now coming under political attack. For the first time a whole province, Guangdong, with a population of over 100m, is demanding exemptions (see article). 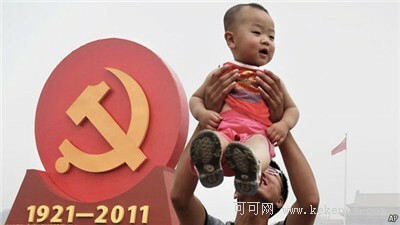 Chinese officials are fiercely attached to the one-child policy. They attribute to it almost every drop in fertility and every averted birth: some 400m more people, they claim, would have been born without it. This is patent nonsense. Chinese fertility was falling for decades before the one-child policy took effect in 1979. Fertility has gone down almost as far and as fast without coercion in neighbouring countries, including those with large Chinese populations. The spread of birth control and a desire for smaller families tend to accompany economic growth and development almost everywhere. But the policy has almost certainly reduced fertility below the level to which it would have fallen anyway. As a result, China has one of the world’s lowest “dependency ratios”, with roughly three economically active adults for each dependent child or old person. It has therefore enjoyed a larger “demographic dividend” (extra growth as a result of the high ratio of workers to dependents) than its neighbours. But the dividend is near to being cashed out. Between 2000 and 2010, the share of the population under 14—future providers for their parents—slumped from 23% to 17%. China now has too few young people, not too many. It has around eight people of working age for every person over 65. By 2050 it will have only 2.2. Japan, the oldest country in the world now, has 2.6. China is getting old before it has got rich. The policy’s distortions have also contributed to other horrific features of family life, notably the practice of aborting female fetuses to ensure that the lone child is a son. The one-child policy is not the sole cause, as India shows, but it has contributed to it. In 20 years’ time, there will not be enough native brides for about a fifth of today’s baby boys—a store of future trouble. And even had the one-child policy done nothing to reduce births, the endless reiteration of slogans like “one more baby means one more tomb” would have helped to make the sole child a social norm, pushing fertility below the level at which a population reproduces itself. China may find itself stuck with very low fertility for a long time. Demography is like a supertanker; it takes decades to turn around. It will pose some of China’s biggest problems. The old leadership is wedded to the one-child policy, but the new leadership, which is due to take over next year, can think afresh. It should end this abomination as soon as it takes power.